For the Fellowship of Minimally Invasive Gynecologic Surgery, 2019 has already brought exciting change and great accomplishment. We began this calendar year with Dr. Ted Anderson as President of the FMIGS Board. Dr. Anderson has been instrumental in many FMIGS and AAGL initiatives, including the recognition of MIGS as an area of Focus Practice within the American Board of Obstetrics and Gynecology. We are happy to report that this has been approved and MIGS will now be a category of Maintenance of Certification (MOC) under which our members can identify their practice! The role of ABOG liaison is just one of the many ways in which Dr. Anderson has served FMIGS and AAGL over the last 10 years. It is no surprise that he was voted President-Elect of ACOG and will assume that role this May. With the expected time commitment as well as the need for separation of our organizational leadership, Dr. Anderson resigned as FMIGS President at the end of February. We wish Dr. Anderson the best as he assumes this important position, and we are excited to see how he highlights GYN surgery during his tenure! I encourage you to read his presidential address in the latest FMIGS Newsletter. When Dr. Anderson vacated the role of presidency, all remaining officers advanced and we held a special election to fill the role Secretary-Treasurer of FMIGS. Out of a group of very excellent and well-qualified candidates, Dr. Jim Robinson was elected. The remaining Executive Board of FMIGS for this year are Sangeeta Senapati (Vice President), Amanda Yunker (President), and Matt Siedhoff (Immediate Past President). In addition to changes in leadership, FMIGS has been busy promoting several didactic, administrative, and research initiatives. We continue to be the most competitive fellowship in OBGYN, and currently there are 50 accredited programs in FMIGS. One of those is our first international program, in Monterrey, Mexico. One program has increased the training to include a third year in research. Research for all programs continues to gain traction, with increasing numbers of Fellow publications and national presentations. The Fellows Pelvic Research Network (FPRN) is now in its fourth year, with several multi-center studies in progress. Our FMIGS Education committee merged with the AAGL Professional Education Committee to revamp our annual Fellow group didactics, including the Boot camp and fellow-focused courses at the Annual Congress. We have begun work on a 24-month revolving curriculum that will address each of our Educational Objectives and standardize Fellow training. As we create online courses and augment those with our in-person didactics and simulation training, we are utilizing the “flipped classroom” approach. You may have already seen advertisements for several Webinars from our esteemed faculty. 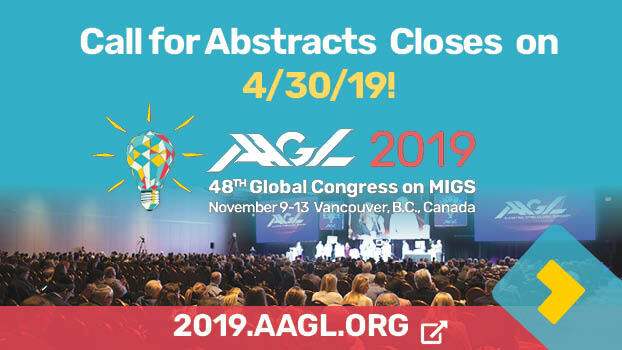 While these were designed with Fellow education in mind, we are pleased to share these educational opportunities with the greater AAGL membership and know that even those in practice for many years appreciate the chance for continued learning. In that same theme of continued learning, I would like to mention the formation of a group called the Young Alumni Network (YAN). Two years ago, a number of recent Fellow graduates highlighted the lack of opportunities for recent grads to remain involved in AAGL activities and also to hone their own skills of lecture presentations, group surgical instruction, and participation in national committees. This is a dynamic, extremely talented group of young physicians, and FMIGS was delighted to partner with them in our activities and educational venues. Fellow graduates in the first five years out from fellowship are eligible to participate in the YAN. To date, they have organized Fellow graduation, formed a mentor-mentee program with current fellows, participated as faculty in Fellow courses, and now have their own post-graduate course at this year’s AAGL Congress in Vancouver! I am overwhelmed by their initiative and energy, and I know the future of FMIGS and AAGL is very secure in their hands! As I close this update, I thank you for your attention. FMIGS is a family and, while there is a lot of work, there are many individuals who make it all possible. As we do the work, we strive to fulfill our vision of advancing the fellowship (both in the US and abroad), improving the quality of fellowship training with standardization of program didactics, and engaging the next generation of teachers and surgeons in our mission. Amanda C. Yunker, DO, MSCR, is the President of the AAGL Fellowship Board of Directors. 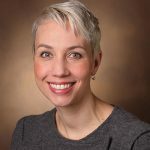 She is the Program Director, Fellowship in Minimally Invasive Gynecologic Surgery, and Associate Professor, Obstetrics and Gynecology at Vanderbilt University Medical Center in Nashville, Tennessee. Next story The Jordan M. Phillips Keynote Address presents Liz Wiseman: Inspiring Brilliance!